Several houses in the Des Plaines Gardens subdivision (today called Westfield) were built based on plans from the Home Builders Catalog Co. This company sold their customers sets of blueprints, a list of all the material needed to construct the house, and sample contracts. Customers chose their house from a catalog, but they did not receive all the building materials. It makes sense that a developer would use plans from Home Builders Catalog. It was much less money than specially hiring an architect (the houses in the catalog were typically designed by nationally recognized architects), and the developer already had relationships with the local lumberyards and knew how to source building materials. 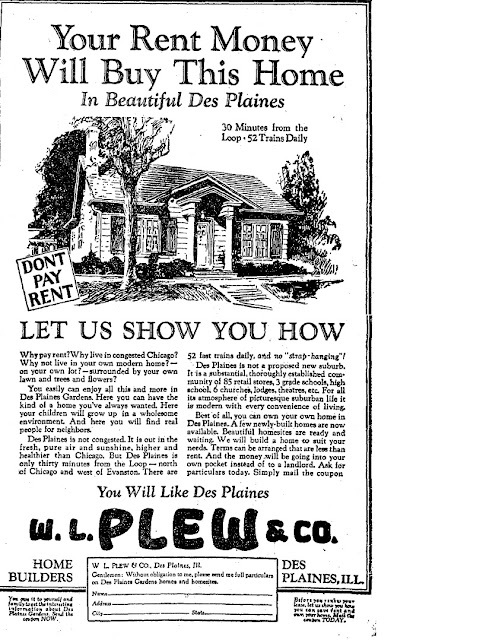 I recognized a house in Des Plaines as a Dunlap model from the Home Builders Catalog. 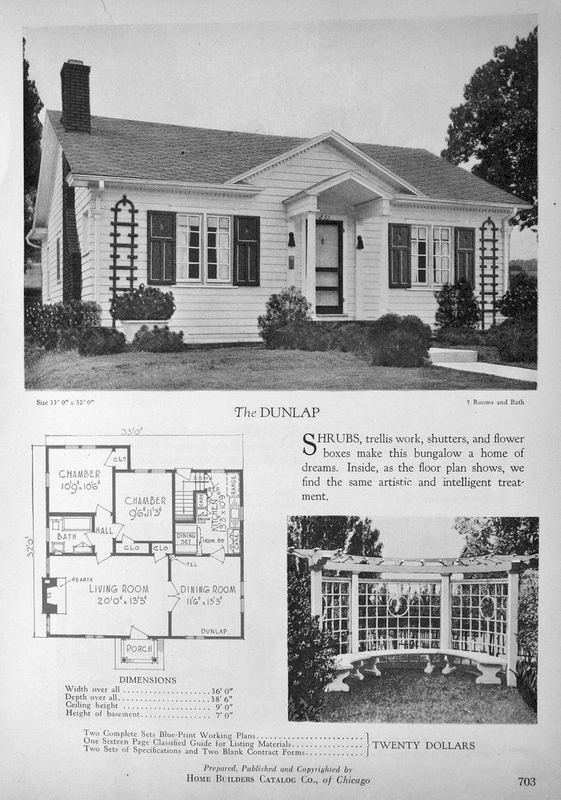 The Dunlap from the 1928 Homes Builders Catalog. 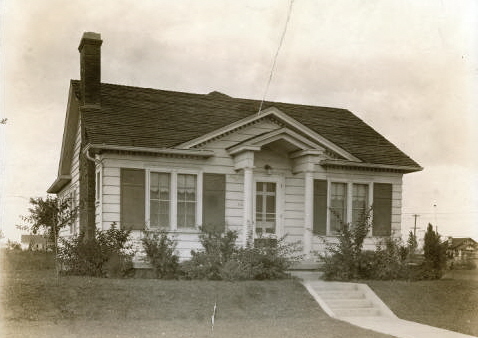 The house in the early years. Photo courtesy of Des Plaines Memory. The Dunlap vaguely resembles the Sears Crescent--that's what got my attention. The house on Jeanette was built by W.L. Plew, a local developer. The house was used in an advertisement for the Des Plaines Gardens subdivision in February 1926. So we can presume the house was built between 1924 and 1926. Ad from the Chicago Tribune, February 1926. You could "find real people for neighbors" in Des Plaines. Thanks a lot, Lisa, and welcome!